One of the more interesting aspects of forensic science, at least for me, is the study of forensic anthropology. 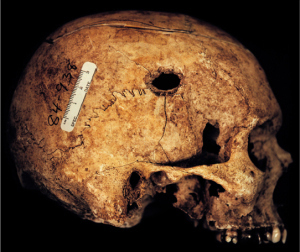 It entails the analysis of human skeletal remains that is within the context of a legal investigation. During my academic studies, I took forensic anthropology as one of the requirements for my bachelor’s degree in police forensics. I thoroughly enjoyed the class and it made me view skeletal remains in more of a scientific way. I was surprised how I learned to establish the gender of a skeleton from major bones, such as the femur, cranium, mandible, and pelvis.